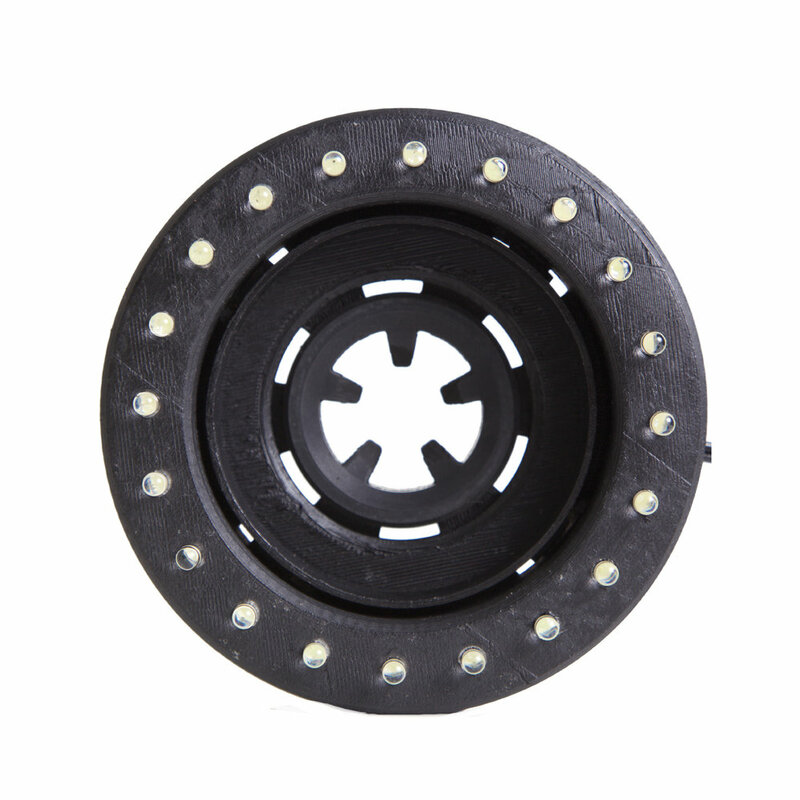 Illuminate your pond and landscape at night with the TotalPond® Large Light Ring. Utilizing 20 LED lights, the Large Light Ring creates a sparkling effect that’s sure to impress. Available at The Home Depot. 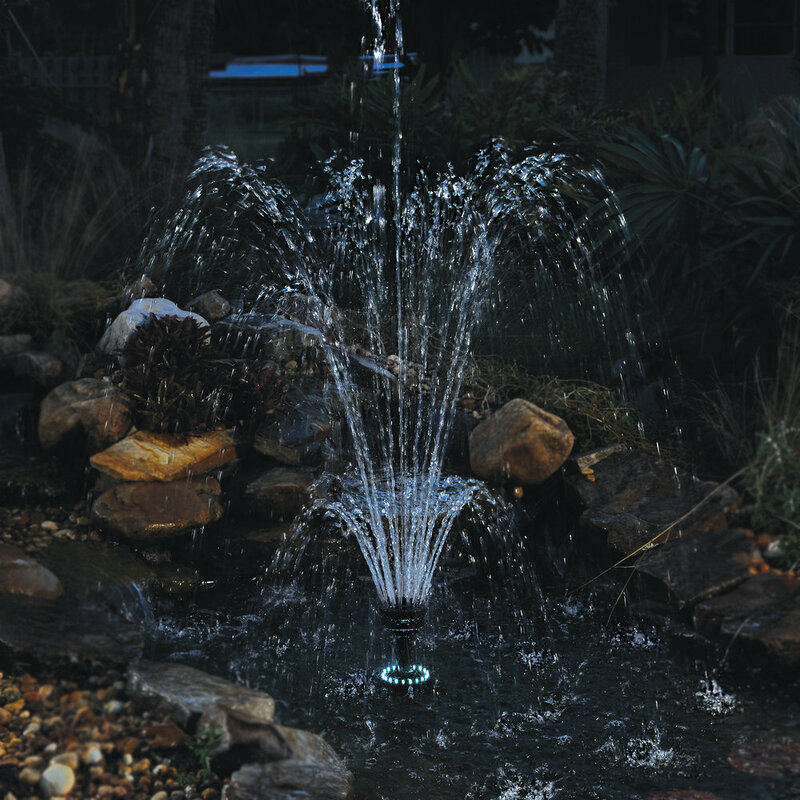 Illuminate your pond and landscape at night with the TotalPond® Large Light Ring. Utilizing 20 LED lights, the Large Light Ring creates a sparkling effect that’s sure to impress. It also includes a dusk-to-dawn sensor, which automatically turns on at dusk and shuts off at dawn, saving energy. The connector piece and two adaptor options allow you to connect to a TotalPond® Large Nozzle Kit (#N16100) or Complete Pump Filter Kit (#MF13015). Adjust the placement of the light ring by sliding it up and down the nozzle tube for the desired effect - illuminating the water pattern. The LED Light Ring is a sparkling nighttime décor that illuminates water features, pond, and plants. 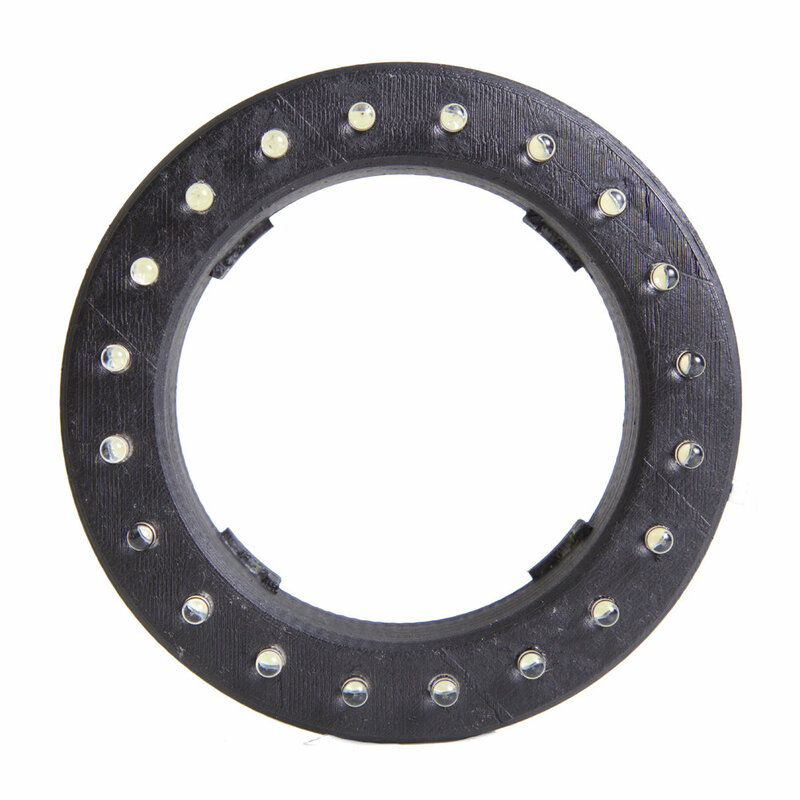 The light ring includes 20 LED lights, a dusk-to-dawn sensor, a connector, 2 nozzle tube adaptors for different tube diameters, and a 12V UL-listed transformer. This waterproof, 1W light ring can be used in and out of the water. Use the connector and a nozzle tube adaptor to connect a nozzle to the light ring for a beautiful nighttime effect. When attached to a nozzle tube, the placement of the light ring can be adjusted allowing it to slide up or down the tube for the desired effect. Periodically, the light ring may require cleaning with warm water and biodegradable soap for optimal performance. The light ring can be used outside the pond in winter, but it needs to be kept out of ice and snow, which can damage the transformer and the light sensor.